I have a confession to make (okay I know I make a lot of them). I am not a minimalist. Minimalism sounds wonderful. Having more space to breathe. 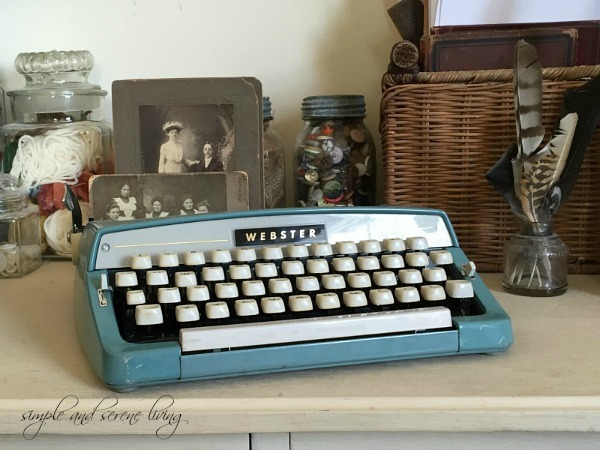 Living with less clutter. Less to pack and move. It sounds wonderful, but I like a lot of my things and I am terrible at getting rid of it. I have a younger sister who seems to be able to throw away with abandon. She sends me a photo of her desk and I am left wondering where all of the stuff is. Where are the fifty or so pens that I have stuffed in a holder. Where are the glass jars filled with buttons and other paraphernalia that I am sure I am going to use some day. Where is the basket that is overflowing with bits and pieces of paper. Her desk has one lamp on it. As most of you know, I will be moving to a 550 square foot apartment in a few months and I am working hard at "trying" to purge. It isn't easy, but I have found that if I hold something in my hand and see if it brings me joy it is easier. Some things I know immediately should go. Some things I am iffy about. Some things would have to be wrenched out of my cold, dead hand. So that I don't change my mind on the things that I know should go, I immediately take them out to my car and then drop them off at Goodwill. Some of the things I take to my booth where I hope they will sell and bring in a little cash. The things I am iffy about I set aside and pull them back out in a week. Then I go through them again and resort. I am finding there are a lot of things I can do without. I have come to realize that my things are not relationships. They are inanimate objects. Many of the things that were stuffed in the back of my closet are those things that I was sure I would need some day. The amount of dust on them attests to the fact that I haven't needed them as much as I thought. 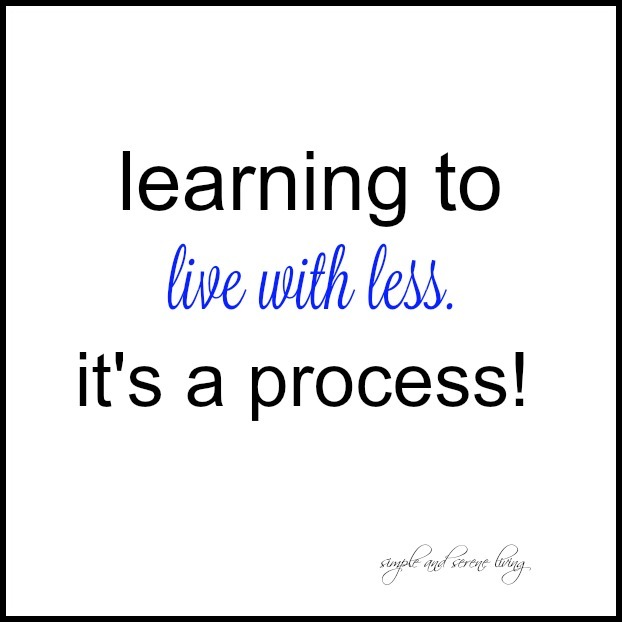 Learning to live with less is just that, a learning process. But who says you can't teach an old dog new tricks. Wait, did I just refer to myself as old. NEVER!!! P.S. Be sure and check out my post At The Women's Room today. It's all about women and photoshopping. Oh yes I can relate to this! I don't have a lot of clutter inside my house but I do down in our basement. It's a catch all area that is always in need of cleaning out. I hang onto things that I think I may need one day and (like you) that day doesn't come around often. I find its best for me to be in a purging mood in order to attack it all. Otherwise nothing budges! I have a problem with purging, also. I think it's from struggling financially for so many years as a single mom - I always think I may need that someday. But you are inspiring me to look at things differently - Goodwill, here I come!! Well, I'm a sentimental old fool and I have things that belonged to my mother and grandmother that is hard to give up even if I don't use them or need them. Then there are those things I may need someday. Those sweet women I mentioned plus my dear aunt, who was my mother's sister, were all pack rats and always said the same thing we do...I might need it some day. But the real culprit for me is all the paper work. I think I've saved every piece of paper that comes into this house. I need to go through all of that and toss or shred. I made a start the other day. But it is so time consuming! What really got me going was seeing the stuff my dear aunt and uncle left behind for my cousin to clear out after they passed away last year. Oh my goodness. He has been working a solid year and still has a long way to go. I told myself then that I didn't want to do that to my children. Now that we have been here almost a year, I am on a mission thru the year ahead to clear the clutter. I'm working on donating and organizing, too. Since I am not selling at shops and big sales anymore...I just don't need it. It really is a process...I just try to do a few areas a day. You know I've been downsizing for two years and I'm still working on it! So hard to let go of things sometimes! Good for you and keep going!! I am sentimental and that is where I get tripped up. It is so difficult for me to toss the silliest of things! I really wish I wasn't so much this way. However, I can say this, I am learning new tricks in this department so you can teach an old dog new ones! Why does everyone automatically go to Goodwill? It is one of the worst charities out there. Google it and you will see. Better to give your stuff to the veterans or some other charity that actually does something. Did you know that Goodwill is FOR profit and the owner is a multi=millionaire? Did you know that they pay their workers LESS than minimum wage? That really is a process, Laura. I have been doing the same thing and taken load after load to GW. I took my current 'working woman' wardrobe to the YWCA for the women's "back to work" program. It gets easier. At least it has for me. Each time I've moved, I've been able to give up more. And I know I can give up more still. I understand. I'm a hoarder of memories and the things that make me remember them. I've recently purged and it felt good, but it was hard and I have a lot more to do. I moved into a house that was half the size of my last one and some of the furniture I sold just about broke me. Anyway, I hope things get better for you. I know you're going through a rough patch and it's never easy. I've been working at minimizing and actually doing well at it! I find that within just a few days, I can't even remember what I got rid of. My desk is always neat and clean and doesn't have a thousand pens or things lying around...I'm also a neatnik. ;-) Most of my clutter is in our basement where we've stored everything for the 25 years we've lived here. I need to get my husband to work on cleaning out all the old paint cans and hardware-type stuff that he has all over shelves down there. 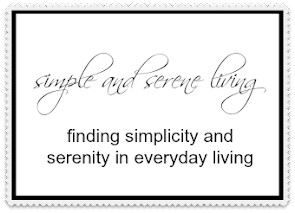 I go from wanting to simplify to wanting to keep more things I love! I love the phrase, "keep only those things you believe to be beautiful or know to be useful" ...or something like that...but I still struggle with it all. You'll become an expert in simplifying after you move. Waiting to see your creativity in action in the downsizing!